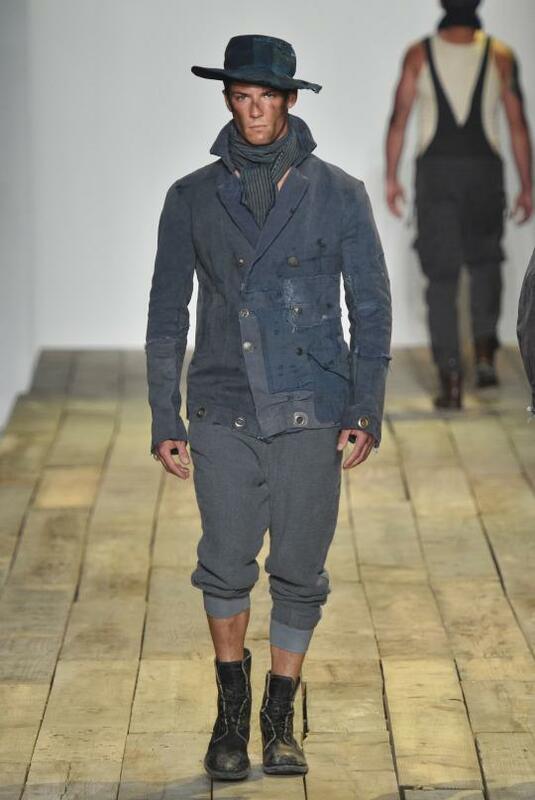 Greg Lauren, the designer nephew of Ralph,debuted his Spring 2016 collection on Wednesday during the first ever Fashion Week dedicated to men. Similar to the shows of his famous uncle, Greg’s show was a star-studded event: Amar’e Stoudemaire, Lauren and David Lauren (natch), Tyson Beckford and, perhaps the favorite for everyone, Greg’s actress-wife, Elizabeth Berkley were just a few of the celebrities who stopped by to take in the show. Also, another noticeable similarity between the both Greg and Ralph was the lengthiness of the show. 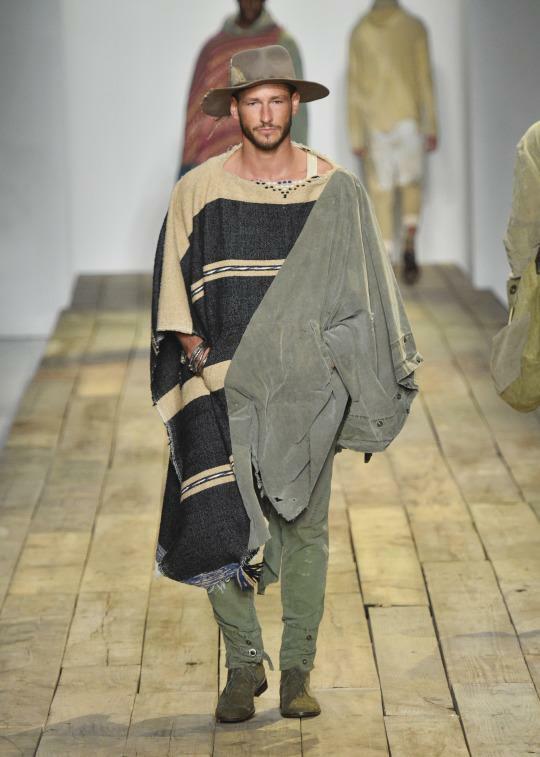 “Greg Lauren breaking some kinda NYFW record right now with a 63 look show.”One editor tweeted pre-show.